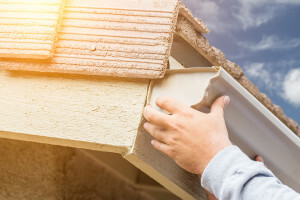 If you’re looking for gutter contractors for a project at your home in Grants, New Mexico, or a surrounding area, look no further than the experts at ABC Seamless of Albuquerque. We have proudly served the area since 1989 and in that time we have built a reputation for providing high quality steel gutters that are designed to never break. This means that our gutters are your best chance at fighting off the typical issues caused by leaky gutters such as roof rot, landscape erosion, mold, mildew, and more. Additionally, when you purchase new seamless gutters from ABC Seamless of Albuquerque it is a worthwhile investment to also purchase some of our high-quality gutter guards. Our covers will ensure that no twigs, leaves, or other debris will enter your gutter system. With no blockages forming in your gutters, you’ll never have to worry about rainfall not being properly channeled away from your home. To learn more about why we stand out from the rest of the gutter contractors in Grants, NM, and the surrounding areas, contact ABC Seamless of Albuquerque. Alternatively, feel free to stop by our showroom to see all of our products in person.